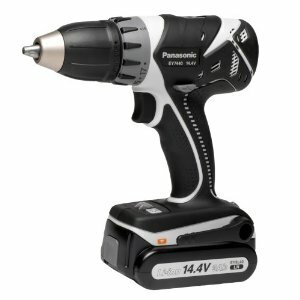 Panasonic is considered one of the best power tool manufacturers today. Panasonic cordless screw guns are versatile, powerful, and easy to use. What is so special about their screw guns? Let us take a look.
.	Two speed gearbox for different types of drilling and driving applications.
.	Hex quick connect chuck.
.	Multi stage clutch with an auto shut-off feature (6-stage, 21-stage, or 22-stage - depending on the model).
. Powerful motor with built in cooling fans.
. Built in LED light for work place illumination.
.	Large forward/reverse switch which is easy to access.
.	Quick, reliable charging systems (15 minute, 30 minute, or 60 minute depending on the model).
.	High quality batteries (Ni-Cd, Ni-MH, or Li-Ion depending on the model).
.	Ergonomically designed to convert from straight to pistol form easily. The first thing you notice about Panasonic cordless screw guns is their size and weight. Every single reviewer has mentioned that these screw guns are small in size, lightweight, and very neatly designed. Most of the models weight just about a pound, so it is very easy to carry them. Despite their incredibly small size, they are able to deliver the required torque for drilling and driving applications. They are designed ergonomically to reduce operator fatigue so you will not get tired of holding them for too long. One thing a lot of people have mentioned in their reviews is that Panasonic screw guns have a distinct advantage over other screw guns when it comes to torque settings. When the tool reaches the correct torque, it stops. This saves you a lot of time and improves battery life. You can switch directions on the fly using the forward/reverse switch which is very conveniently located. The charging system in Panasonic screw guns is something that a lot of people talk highly of. The batteries get fully charged in just about 15 minutes. While it might take a little longer in certain models, it is still better than most charging systems available on the market today. Some models come with a screw count function which lets you know the number of screws you have driven at any given point of time. It is very easy to switch from straight form to pistol form for accurate drilling. From what I have seen so far, the reviews have been unanimously positive for Panasonic cordless screw guns. One minor issue that some people have pointed out is that the inbuilt LED light in some models is a little yellowish and dim. Apart from this, there are no downsides whatsoever with these products. 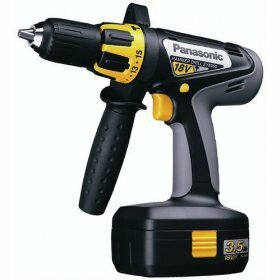 Return From Panasonic Cordless Screw Guns Page to Home - Finishcarpentryhelp.com.